Sterling has traded to a 5 year low in the currency markets against the US dollar on the back of poor construction and production data released by the ONS. On Thursday the Bank of England’s MPC announced their decision to leave interest rates and quantitative easing unchanged as expected, with the pound weakening following disappointing trade deficit figures. Thursdays close was the lowest level for Cable since June 2010, in part due to a strong dollar combined with the weak UK data. This morning’s data has pushed Sterling lower vs the US dollar (1.4631) and EURGBP trading 0.7237. If the data continues to disappoint then its likely that the move in Sterling will continue. The overhanging risks of a general election with an uncertain election, combined with likelihood of tightening from the MPC seeming ever further should see the pound offered. What are the risks in the near term? The Bank of England MPC Minutes will be released on 22 April, for the latest interest rate decision. Though the announcement of unchanged monetary policy, how the members voted is not set in stone, and what language was used regarding the timing of tightening. 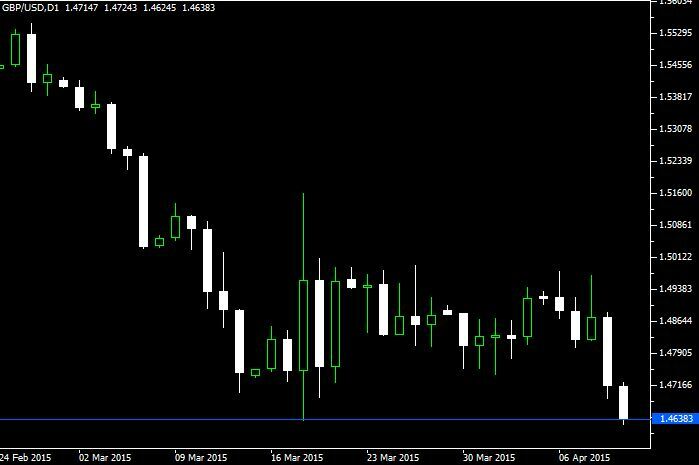 The main political risk weighing over the pound is the UK General election on the 7 May. In less than four weeks, voters will head to the polls, with no single party expected to reach a majority. The risks of a long-lasting talks or any number of permutations of government, are a major risk to sterling.